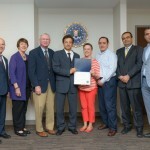 The Orange County Human Relations Commission was founded in 1971 by the Orange County Board of Supervisors in collaboration with the OC League of Cities. 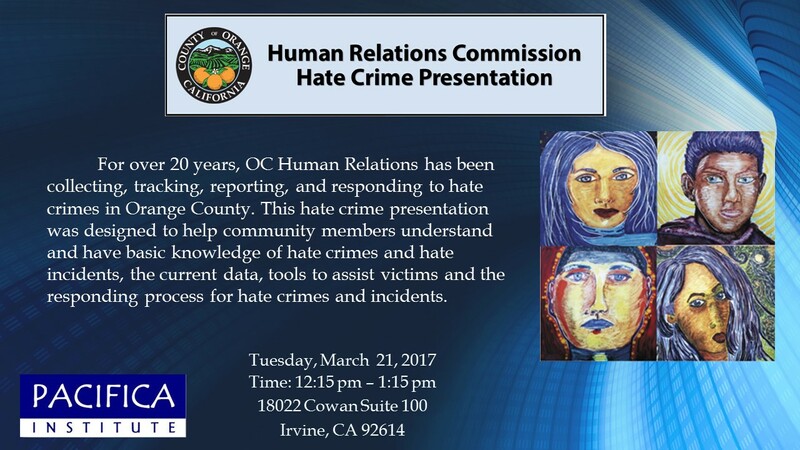 Over the last 25 years the Commission has documented, reported, and responded to hate crimes in Orange County. The Commission provides support for victims of hate crimes and trainings for the community, educators, students and law enforcement to increase the accuracy of reporting and decrease the number of hate-related crimes and incidents. 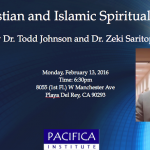 Please RSVP to attend the presentation and learn more how to stop Hate Crime in OC.